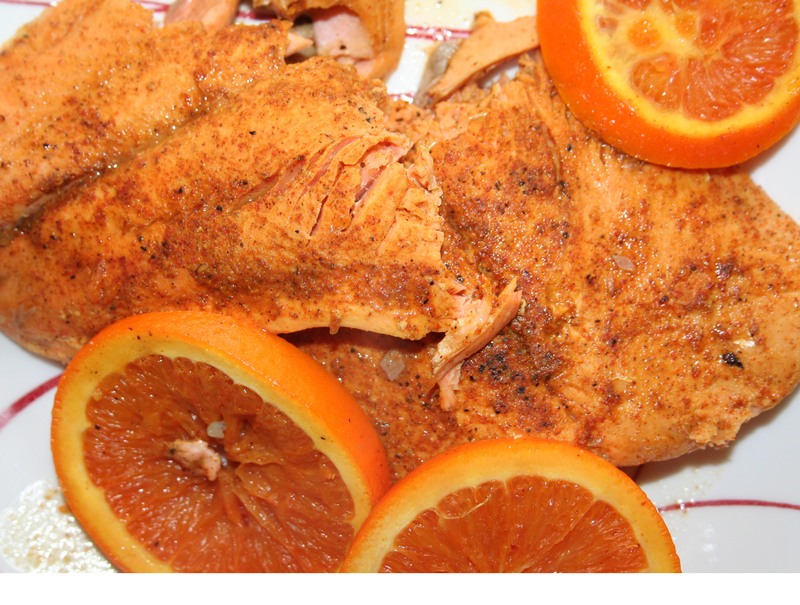 Orange Braised Alaskan Salmon – What's for dinner, Doc? In a small bowl, toss together salt through paprika to make a rub. Rinse salmon filets and remove any pin bones. Rub sea salt rub into the fleshy side of the salmon and allow to rest 10 minutes. Heat olive and lightly sear salmon, skin side up in the oil. Turn salmon skin side down. Add orange slices, juice of one orange, 1/4 cup of water and white wine and cover. Braise for 7-10 minutes depending on the thickness of the filet, until no longer lucent. Do not over cook. 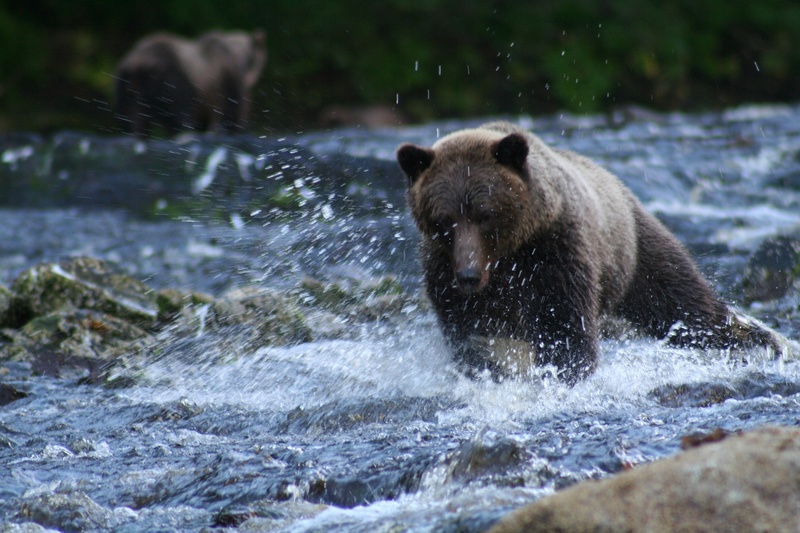 I leave you with pictures of the wilds of Alaska where this salmon was taken. 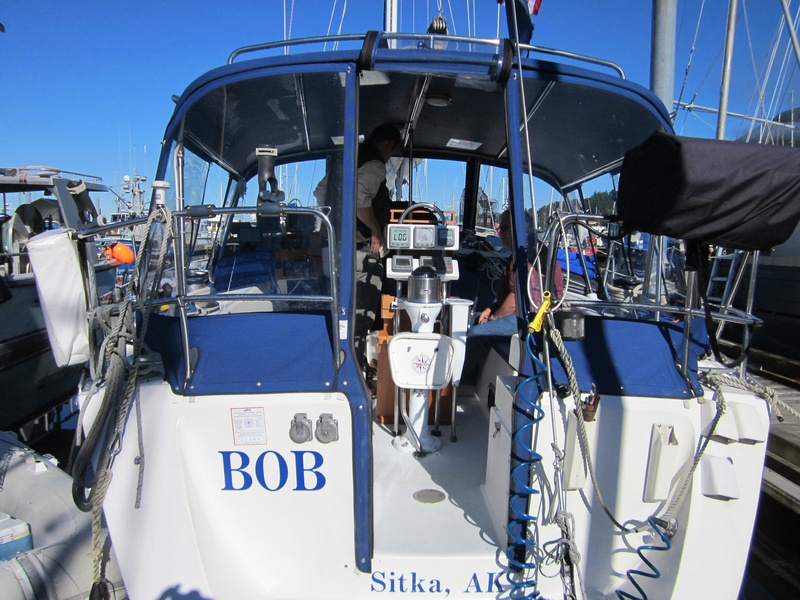 For your own sailing adventure in Southeast Alaska visit www.soundsailing.com Captain Blain Anderson will take you on the trip of a lifetime. We had to yield our salmon to this big guy. Pardon my drooling. This sounds amazing. We will add it to the menu aboard. Recommend Alaska Pure Blueberry Sea Salt. Pingback: Citrus Salmon Caesar Salad | What's for dinner, Doc?